Hourglass vs. Hydroxycut Lean X Next Gen presents a face-off between 2 fat burners that were built to eliminate pesky excess fat while maintaining optimum health. Hourglass, for one, has an intelligent formula that can be very beneficial for women. It can deliver safe and sustainable fat-burning results without the yo-yo effects of harsh synthetics and caffeine However, it does contain a natural form of caffeine called Guarana. On the other hand, Hydroxycut Lean X Next Gen is a non-stimulant formula suggested to deliver fat loss support without causing the jitters. It leverages potent botanicals that deliver fat-burning effects with little to no side effects. However, it also contains a natural form of caffeine. So, which fat burner is really safer and more effective? Let’s find out in this review. Hourglass and Hydroxycut Lean X Next Gen are both stimulant-free fat burners that promise maximum weight-loss without the jitters. How are the formulas of Hourglass and Hydroxycut Lean X Next Gen similar? As you can see, Hourglass and Hydroxycut Lean X Next Gen both contain the same form and dosage of branded Black Pepper Extract: Bioperine®. Bioperine® is known to promote a synergistic effect, or one that unifies the impact of combined ingredients. It also promotes maximum absorption in the body for superior impact. Both Hourglass and Hydroxycut Lean X Next Gen also contain Cayenne Pepper Extract, which is one of our top 5 fat burning ingredients because of its thermogenic and appetite-suppressing effects. How are the formulas of Hourglass and Hydroxycut Lean X Next Gen different? While both fat burners contain Cayenne Pepper Extract, Hourglass uses a higher dosage and standardized version of Cayenne Pepper Extract compared to Hydroxycut Lean X Next Gen. The standardized version is better because it eliminates the possibility of side effects such as “burning stomach” sensation. Not to mention, the higher dosage makes Hourglass more powerful. In contrast, Hydroxycut Lean X Next Gen offers a cheaper, unstandardized plant powder version of Cayenne Pepper Extract in a lower dosage. This means it is more likely to cause an unwanted “burning stomach” sensation. As such, if you want to reap the maximum thermogenic and appetite-suppressing benefits of this Cayenne Pepper with minimal side effects, we recommend opting for Hourglass. Hourglass and Hydroxycut Lean X Next Gen both contain solid ingredients. However, Hourglass provides higher dosages in more potent ingredient forms that are more tailored for weight-loss. For instance, Hourglass contains essential fat-burning ingredients for women that make more sense for overall health in comparison to Hydroxycut Lean X Next Gen. To illustrate, the stimulant-free formula of Hydroxycut Lean X Next Gen contains ingredients that don’t belong in a fat burning formula, such as Dill, Choline, Lion’s Mane and Ophiopogon. Dill and Ophiopogon are natural herbs that have not been scientifically proven to help with weight loss. Not to mention, Hydroxycut Lean X Next Gen label provides an overly vague explanation for the inclusion of these ingredients, which we don’t like. Choline and Lion’s Mane are popular nootropic ingredients that are also found in Hydroxycut Lean X Next Gen. It’s surprising to find these ingredients in a fat burner, but they may not be a bad idea for this particular formula. After all, nootropics can help with overall cognition for better performance during exercise, which may lead to faster fat-burning. However, this may be a stretch. All in all, Hourglass is a wholesome, holistic weight-loss formula that supplies the body with essential nutrients and premium plant extracts to promote fat-burning in several different ways. Not to mention, its ingredients provide secondary benefits for overall health. For example, they support blood sugar balance, energy, digestion, mood and more. In addition, every ingredient in Hourglass is beneficial for overall health and weight loss. Meanwhile, Hydroxycut Lean X Next Gen contains herbs and nootropics that aren’t necessarily meant to help burn fat and maintain overall health. Hydroxycut Lean X Next Gen also contains an unstandardized form of Cayenne Pepper Extract, which may cause unwanted side effects. Thus if you’re after a significant, sustainable and safe fat burner, you’re better of choosing Hourglass. It contains clean, essential nutrients and effective weight loss ingredients, not experimental ingredients that may or may not contribute to fat loss (like Hydroxycut Lean X Next Gen). Advanced Delivery No. Plain gelatin capsule only. No. Plain gelatin capsule only. Hourglass and Hydroxycut Lean X Next Gen are both high-quality fat burners that promise little to no risk or side effects. However, Hourglass contains fewer supplement additives and uses a natural capsule colorant while Hydroxycut Lean X Next Gen uses synthetic capsule additives, which may cause long-term side effects. In addition, they both contain caffeine in different natural forms. Guarana is the primary source of caffeine in Hourglass while green coffee bean extract is the primary source of caffeine in Hydroxycut Lean X Gen.
Hourglass and Hydroxycut Lean X Next Gen are known as stim-free formulas because they do not contain additional stimulants. However, the caffeine from these plant extracts may be enough to provide some benefits or unwanted side effects, depending on your body. The price of Hourglass is from their official website, www.hourglassfit.com in 2018. You can’t buy this product from other retailers like GNC or Amazon because it is exclusively sold by the manufacturers. On the other hand, you may be able to find a better deal on Hydroxycut Lean X Next Gen if you shop around. Our listed price comes from Bodybuilding.com; but you can also buy it from Target, Amazon, Walgreens, Walmart, Target, Vitamin Shoppe and other major supplement retailers. While Hydroxycut Lean X Next Gen has a decent quantity of ingredients, certain ingredient forms are not as advanced compared to Hourglass, making for lower quality and price. In addition, some ingredients aren’t backed by science for weight-loss, which sort of misses the point of a fat burning supplement altogether. Again, this is reflected in its price. Not to mention, Hydroxycut contains lower ingredient dosages overall. In terms of pricing, Hydroxycut Lean X Next Gen is cheaper than Hourglass. However, it contains some odd ingredients that aren’t known as fat burners or essential nutrients. Hydroxycut Lean X Next Gen is effective enough as a fat burner and may be worth a shot for the price. However, we would advise you not to get your hopes up with this one. If you’re looking for a more specific, quality formula for fat-burning, Hourglass may be your best bet, even though it’s pricier. 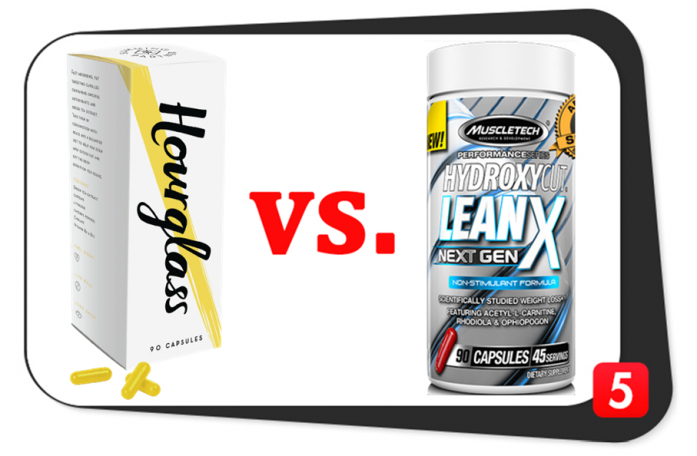 Hourglass vs. Hydroxycut Lean X Next Gen: Which is Better? Overall, Hourglass is clearly the better supplement here because it delivers safe and sustainable fat-burning results. Not to mention, its ingredients focus on fat loss and overall health instead of cognition. 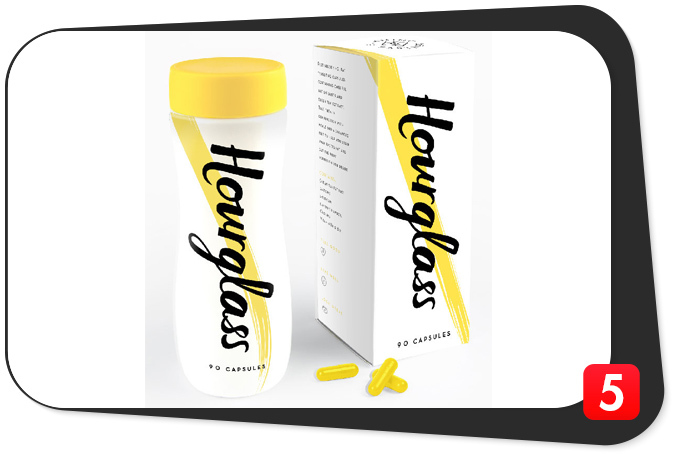 The Hourglass formula also includes advanced forms and dosages of every ingredient, unlike Hydroxycut Lean X Next Gen. Furthermore, its capsule has a more natural design with fewer additives than Hydroxycut Lean X Next Gen. So, while Hourglass is certainly more expensive than Hydroxycut Lean X Next Gen, it is a cleaner, more effective fat burning supplement that provides added health benefits. Thus, it is the better option in our eyes. But if you want to check out other quality weight-loss options before you buy, head on over to our guide on the best fat-burners of 2018.